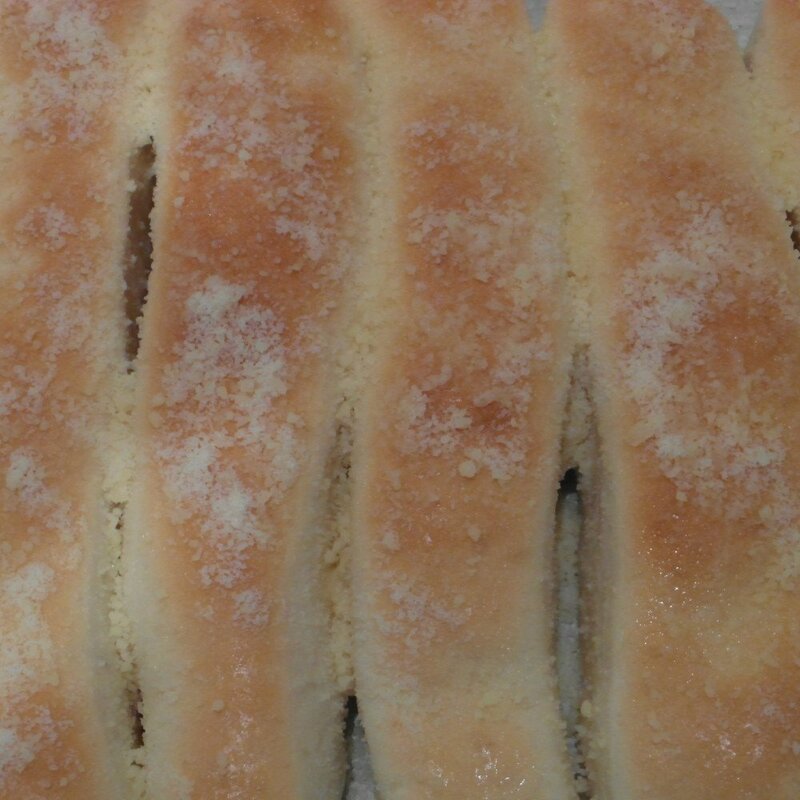 Crazy bread, it is one of my weaknesses. I am fortunate to have a Little Caesars close to my home, but I am trying to cut back on my eating out, it’s pricey. 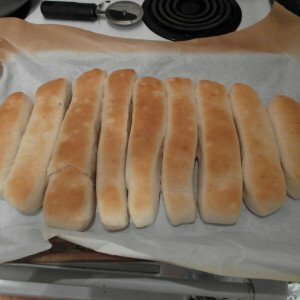 The other night I had a craving for crazy bread and I figured, why not make it home, a much more frugal option! 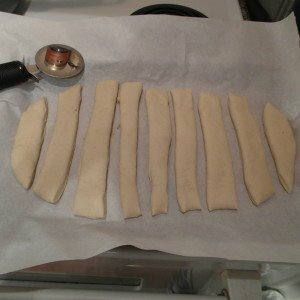 I searched online to find a recipe to try and found one on instructables that looked simple enough. This is the original recipe (please read all “Notes” before attempting the recipe as written. 1. Gently stir the yeast into the warm water and let sit for about 5 minutes. Then add the oil to the mixture. 2. 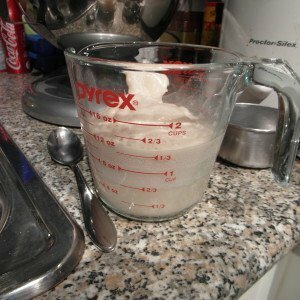 In a mixing bowl, mix together flour and sugar. 3. Slowly add the yeast mixture to the flour mixture and mix until a ball forms. Mix for an additional 5 minutes. 4. 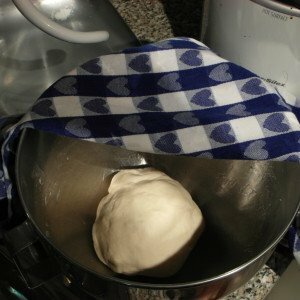 Lightly oil a bowl, place dough ball in and cover with a damp cloth. Let it rise for 1 to 3 hours. 5. Knead the dough by hand for 5 minutes. Roll out dough, shape and cut as desired, I liked the strips. 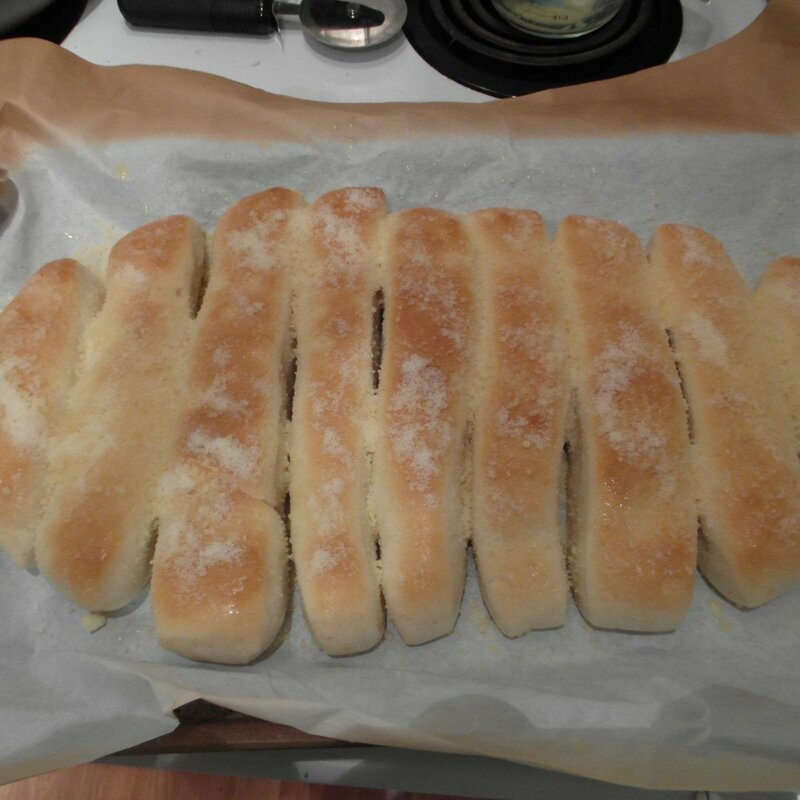 Place on parchment lined baking tray. Cover again and let rise for 30 min. 6. Preheat your oven to 425F. 7. Bake until light golden brown, about 10 min. 8. Mix garlic, butter and olive oil in a microwave safe dish. Microwave in bursts of 10 seconds until butter is melted and everything is well combined. 9. Brush bread with butter mixture and sprinkle generously with cheese. If you find that your bread tastes yeasty, try proofing it first. It will also give you a better rise. To proof my yeast, I added the yeast to the warm water and then added 1 tsp of white sugar. Yes that means there is an addition tsp of sugar in the dough but I did not find the dough sweet at all. Wait about 10 minutes or until it has doubled in volume. I had to add 2 Tbsp of water to my dough mixture for it to form a smooth ball. Add water or flour 1 Tbsp at a time to get a smooth ball. I kneaded the dough on parchment paper. My dough was not sticky so no additional flour was needed during this process. Next time I make this, I will form 2 balls after kneading and create 2 baking pans of bread. This would allow me to roll the dough out thinner, to resemble Little Caesars crazy bread more in shape and dough consistency. Next time, I will also use garlic powder instead of crushed garlic to eliminate the overpowering garlic flavour of the butter mixture. I will also need to at least double the amount of butter mixture to be able to coat 2 pans of crazy bread. Be generous when brushing the bread with the butter mixture but not too generous that the mixture starts to run off the bread. Then generously sprinkle the cheese (I prefer Parmesan). If you like your cheese coated in the butter mixture, like I do, you can always tap your brush full of butter mixture over the cheese so it can soak in more butter. So there you go. 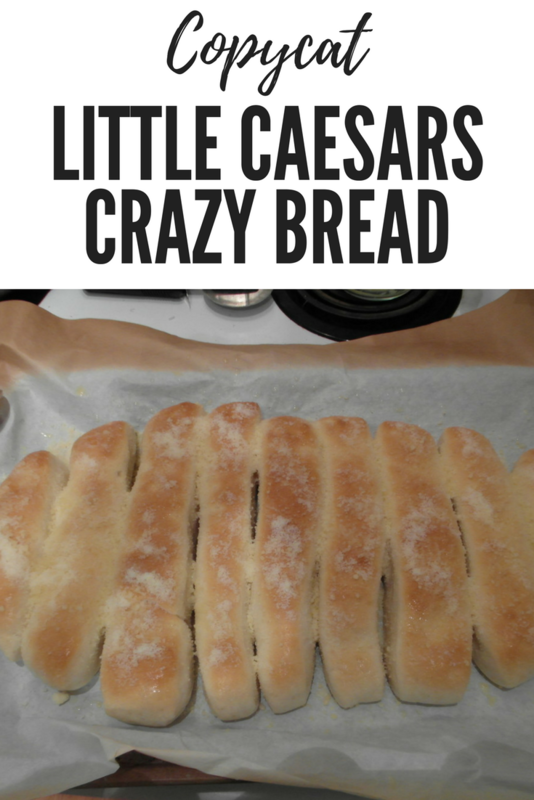 That is the Copycat Little Caesars Crazy Bread recipe along with my thoughts and alterations. I will update the next time I make them with the changes to let you know the exact quantities and if it turned out closer to Little Caesars recipe. I was still pretty happy with this one, can’t wait to try the next one! What restaurant dish have you been wanting to try at home? Oh my!! I just found your blog and this recipe. Can hardly wait to try it. And I especially like that you added notes to some minor changes you made. Thanks for sharing this recipe. Now off I go to search your blog. Gonna try this!! 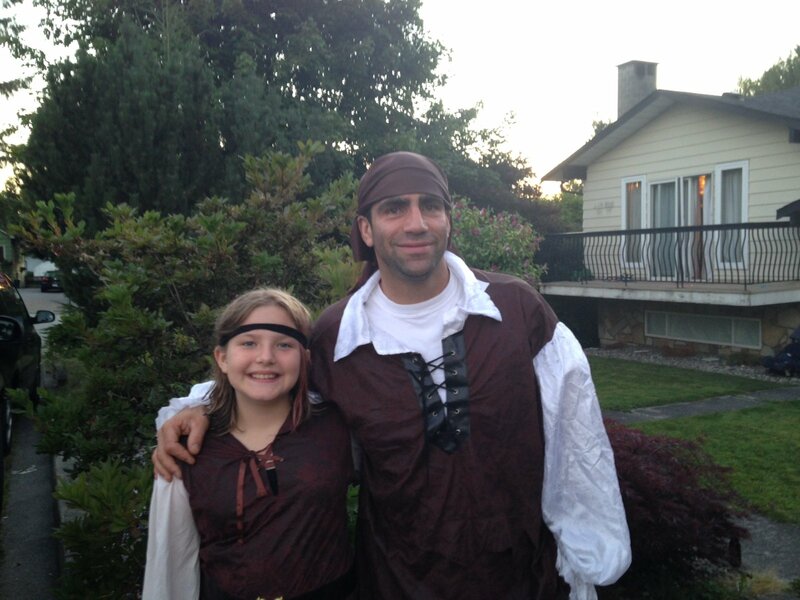 My kids love it. Oh my!! 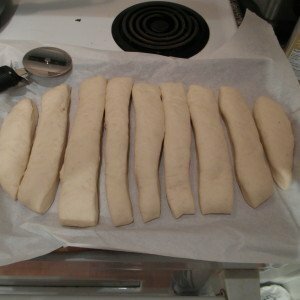 Crazy bread is my weakness for sure ,Ill have to try and make this soon! 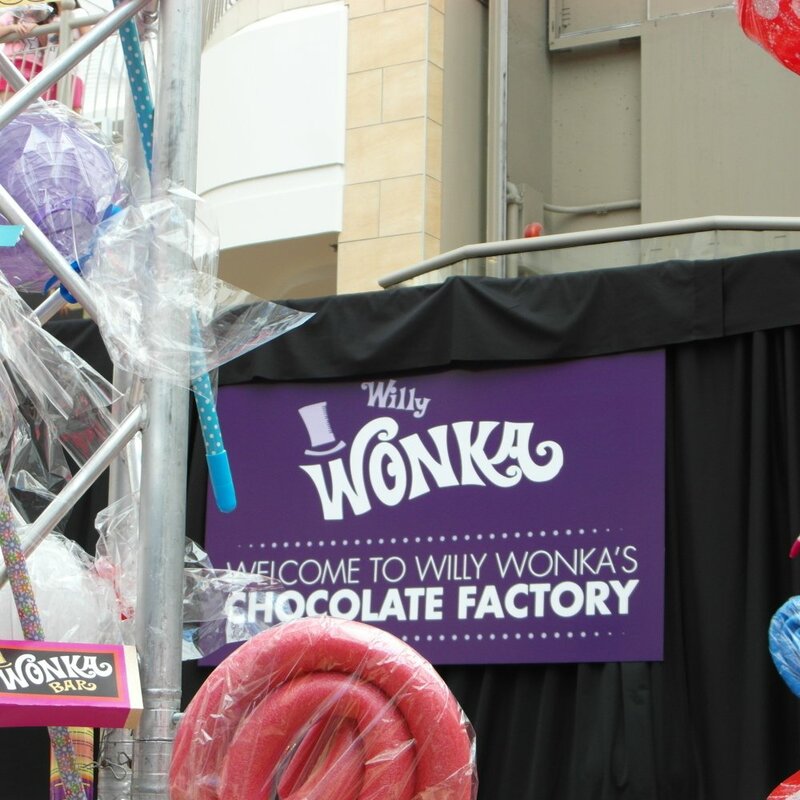 Have to try this yummm! This is a must try! I live near a Little Caesars as well and it’s been nothing but trouble lol. I lived in the city all my life, moved to a small town a couple of years ago, I’d give anything to learn how to master butter chicken like the authentic restaurants there….but who am I kidding lol. 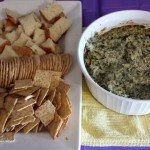 This looks like a simple and tasty recipe, I’m always looking for copy-cat recipes too, but mine usually do not turn out. I am going to give this one a try and I am going to proof the yeast first as stated in your notes!! I will have to try this one! My boys love crazy bread! I would love to find a recipe for Italian Lemon Chicken… But in the mean time, this looks so good! Thank you! This is amazing. You have no idea how insane my son is about crazy bread. Everytime we go out ‘I want crazy bread’ this will save me so much money over time. These look yummy! Must try! 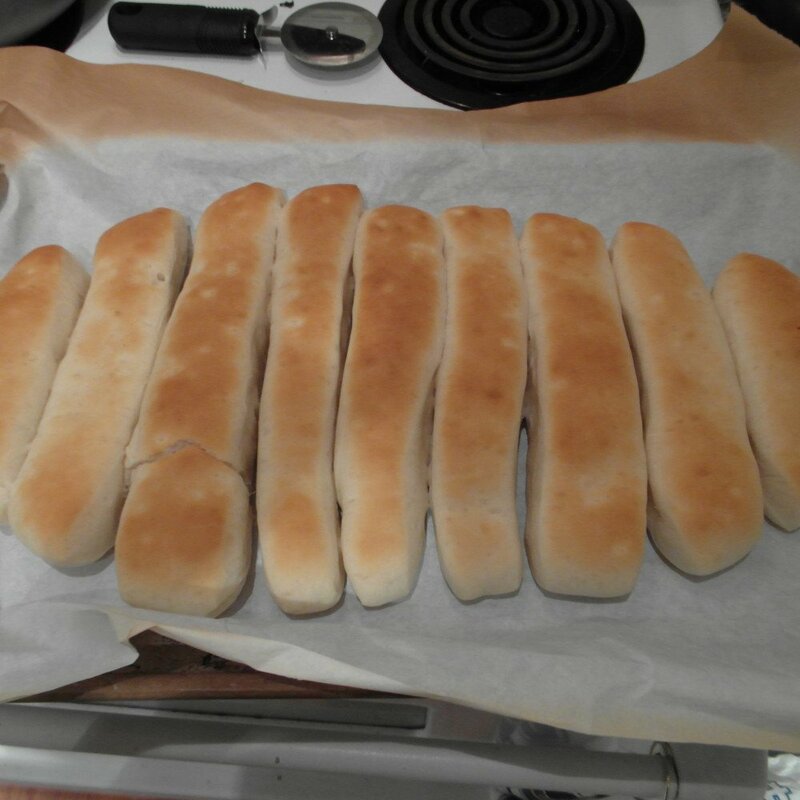 I keep hearing about how good crazy bread is, but….I have never tried it! Now I have an easy recipe to make it thanks to you. I love copycats, and want to try this, with your alterations! I make bread at least weekly, sometimes every few days, and I do add a little sugar to help nurture the yeast. This sounds soo delish, I’m excited to try it. Boy it looks good! Impressive! Those look authentic! thanks for the recipe! My daughter LOVES crazybread. I am DEFINITELY going to have to try this out – it looks exactly right! 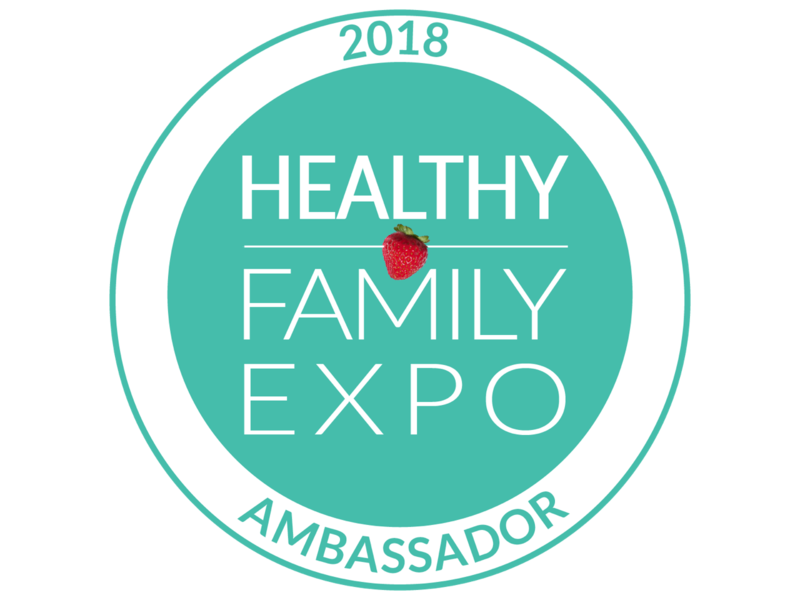 This looks like a fun activity to do with the kids! Thanks we finally tried your recipe yesterday and it was so delicious ! Oh goodness! Must try this!! Good looking bread that looks delicious and I will be happy to try out for sure. I love Little Caesars Crazy Bread! Thanks so much for the copy cat recipe! These definitely do look like the Little Caesars ones. Would love to try this one. yum. my boys would love this! Always been a fan of little caesars crazy bread. Thanks for teaching me how to make it. I can customize it by adding less cheese. I find theirs too cheesy. This bread is perfect with any meal,my grandkids love it. Thank you so much! I love bread sticks! Yum!